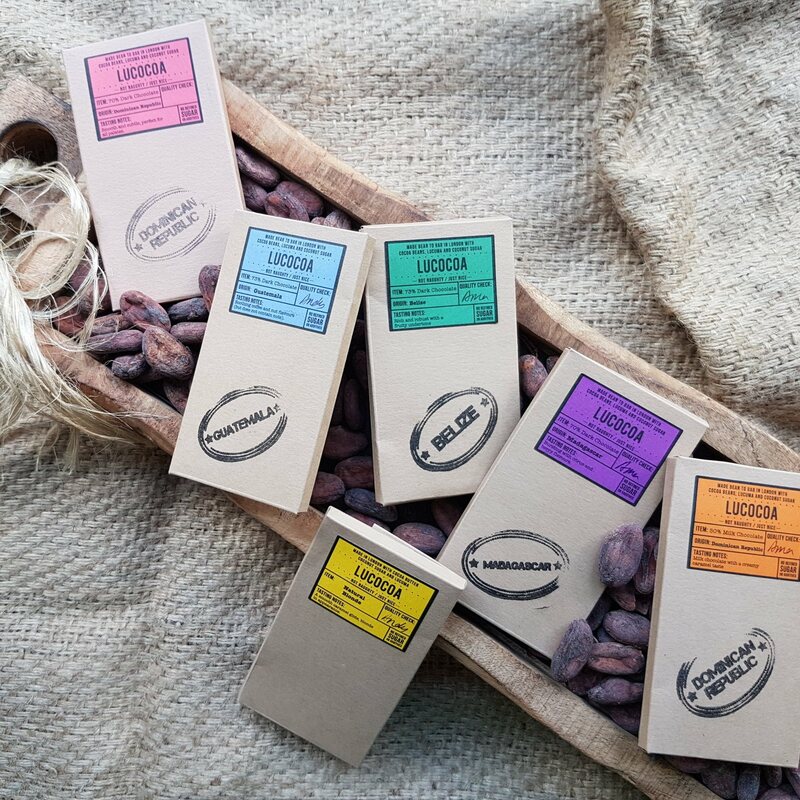 A delicious and healthy selection of 6 different origin bean to bar chocolate goodness. 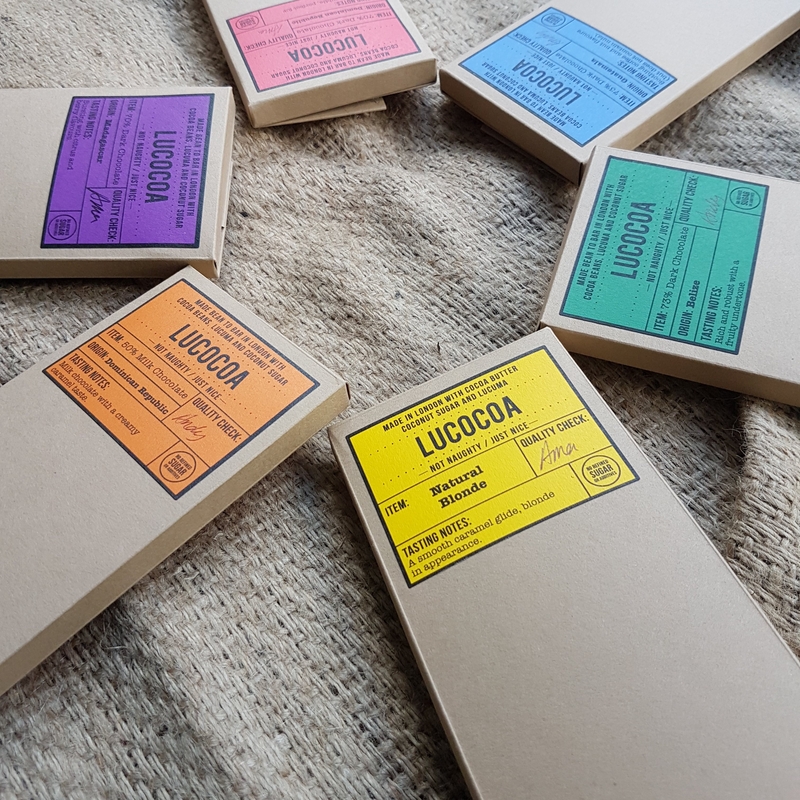 Lucocoa Chocolate is London's first bean to bar chocolate makers, making their chocolate from cocoa bean to bar using no refined sugar or artificial sweeteners. It tickles your tastebuds without pricking your conscience; not naughty, just nice. Cocoa beans, coconut sugar, cocoa butter, lucuma. Wow,I tried a blonde bar finally yesterday - and it was super tasty. Thank you. This product is dispatched by Lucocoa Chocolate. This item has a shipping weight of between 120g and 480g depending on the options selected.